“Eppur si muove” (and yet it moves). It is one of the most famous quotes in the history of science, although it is doubtful that the Italian astronomer Galileo Galilei (15 February 1564 – 8 January 1642), to whom it is attributed, ever actually said it, and especially not before the Inquisition that forced him to recant his heliocentric theory. 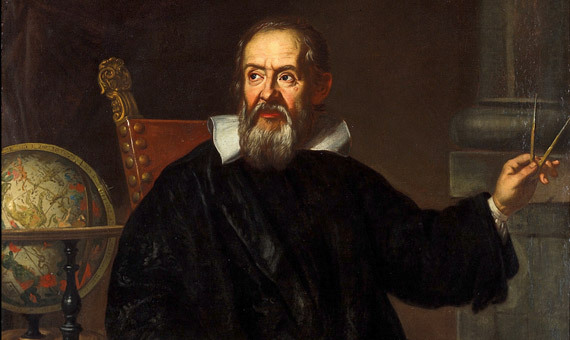 But the appearance of these words, camouflaged in a portrait of Galileo painted by the School of Murillo after the death of the scientist, has brought them into popular culture, founding the idea that the eminent astronomer never renounced his belief. 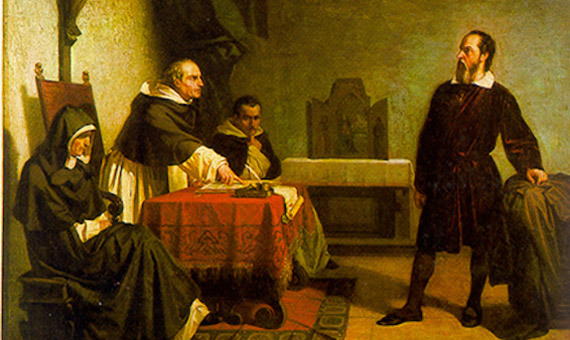 Galileo was condemned for his theory that the Earth revolved around the Sun, and not the contrary, an idea that on 24 February 1616 the Inquisition of the Catholic Church declared “formally heretical” as well as “foolish and absurd in philosophy.” Heliocentrism had become a matter of theological discussion following Galileo’s work Sidereus Nuncius (Sidereal Messenger) published in 1610. In the work the astronomer brought his telescopic observations to support the heliocentric hypothesis; however, this idea had already been circulating in the celestial treatises for nearly a century. 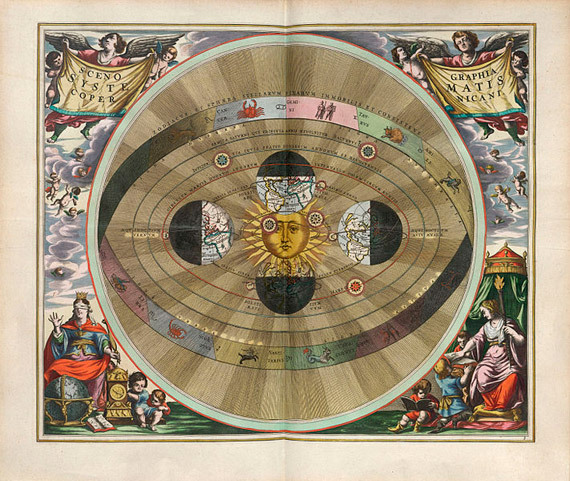 Heliocentrism had been a cherished approach since ancient times, with its first formulation in the Western world being attributed to the Greek mathematician Aristarchus of Samos in the third century BC. However, it was the Polish Nicolaus Copernicus who, in 1543, refuted the geocentric system of Ptolemy in his book De Revolutionibus Orbium Coelestium (On the Revolutions of the Heavenly Spheres), published shortly before his death, which led to another expression borrowed by science from the vernacular: the Copernican revolution. But although the work of Copernicus is considered one of the foundations of astronomical science, interestingly at the time the Copernican theory did not raise the suspicions of the Catholic Church, which saw the work as a mathematical hypothesis and not an actual physical phenomenon. It was Galileo who transformed heliocentrism into an explanation of nature when he succeeded in making a hitherto unpublished observation of the firmament thanks to his invention in 1609 of the first practical telescope. Among other reasons, the four moons of Jupiter discovered by Galileo refuted the idea that all heavenly bodies revolve around the Earth as the centre of the universe, and the phases of Venus suggested that this planet orbited around the Sun. The defence of heliocentrism as a practical idea began to bother the Catholic Church, which maintained the literal interpretation of the Bible according to which the Earth is stationary while the sun rises and sets.